It’s an indulgence. It’s not for everyday. And it ain’t cheap. But life is short so when you’re in splurge mode, go for French-cut lamb chops. The ‘French’ means that the bones are exposed. This makes them lovely to look at and fun to eat because you can pick them up like a lollypop and chow down. Forget the fork and knife – this is adult finger food. These chops are perfect for the BBQ – a quick minute or two over high heat and they’re good to go. A drizzle of olive oil and a squeeze of lemon and you’re talking seriously tasty (and I mean lick the plate tasty). A salad and some roasted potatoes and you’ve officially died and gone to heaven. The only thing that makes them better is a little marinade to add a flavor punch. One of my favorites is a combo of two chile powders, both with a smoky edge to them. Chipotle gives the marinade smoke and heat while smoked sweet paprika is milder but with a lovely smoky aroma all its own. Before you think I wrote the book about pimenton, I didn’t but I found the person who did. Her name is Janet Mendel and she’s got a great blog called My Kitchen in Spain. She’s a journalist and cookbook author and has lived in Spain for a longtime. If you’re having trouble finding smoked sweet paprika, never fear. In Santa Fe, we find it at The Spanish Table and they do mail order. 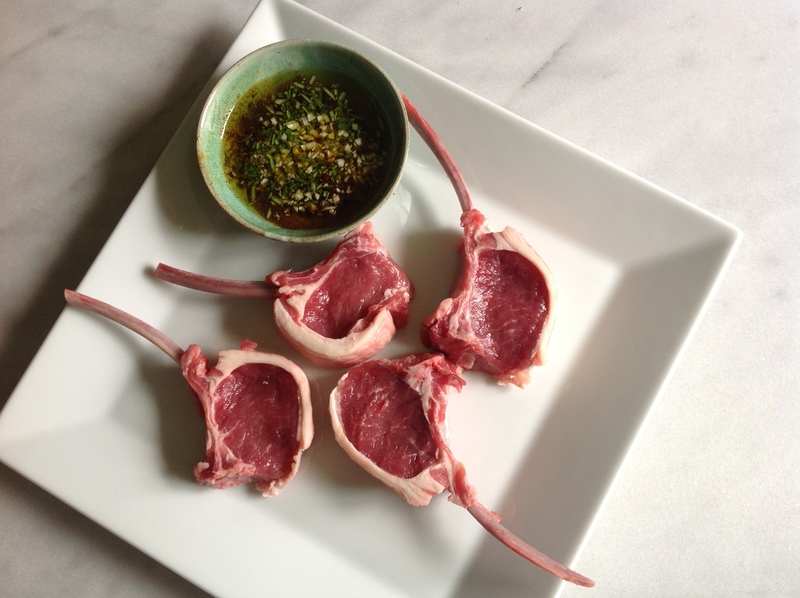 French-cut lamb chops are typically sold in a rack that has 7 or 8 rib chops. You can ask your friendly meat guy or gal to cut the rack into individual ribs or do it yourself. 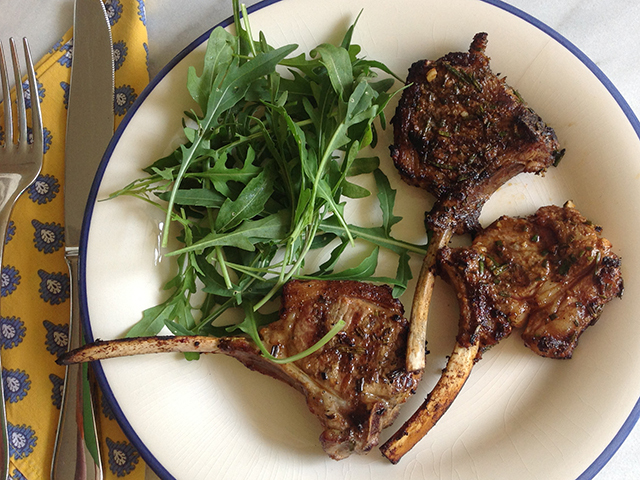 7-8 French-cut lamb chops, around 1 to 1¼ lbs. 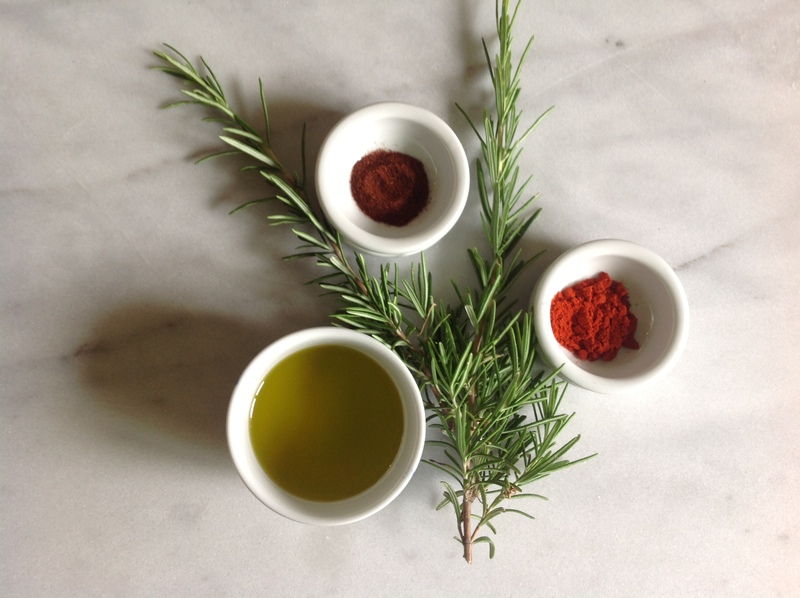 Mix the chipotle chile powder, sweet pimenton, rosemary, garlic and olive oil together. 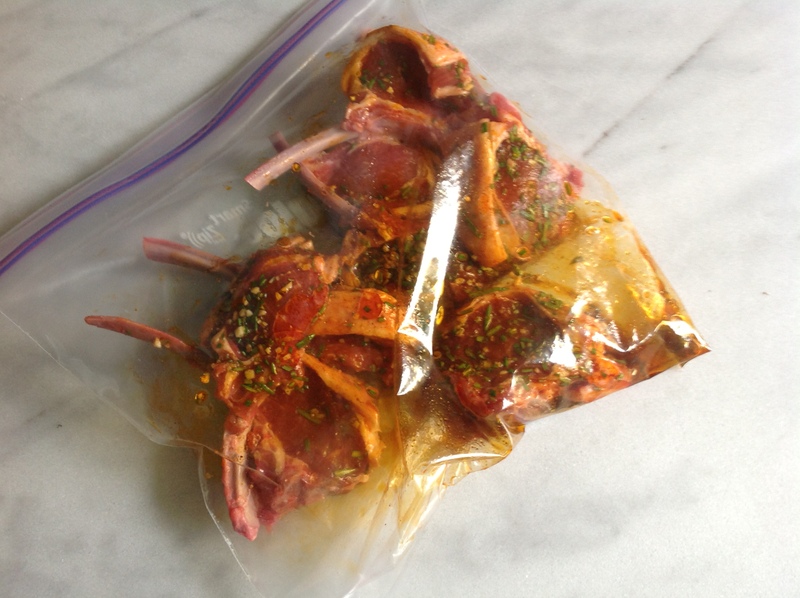 Place the lamb chops in a bowl or large plastic baggie and pour the marinade over them to coat. 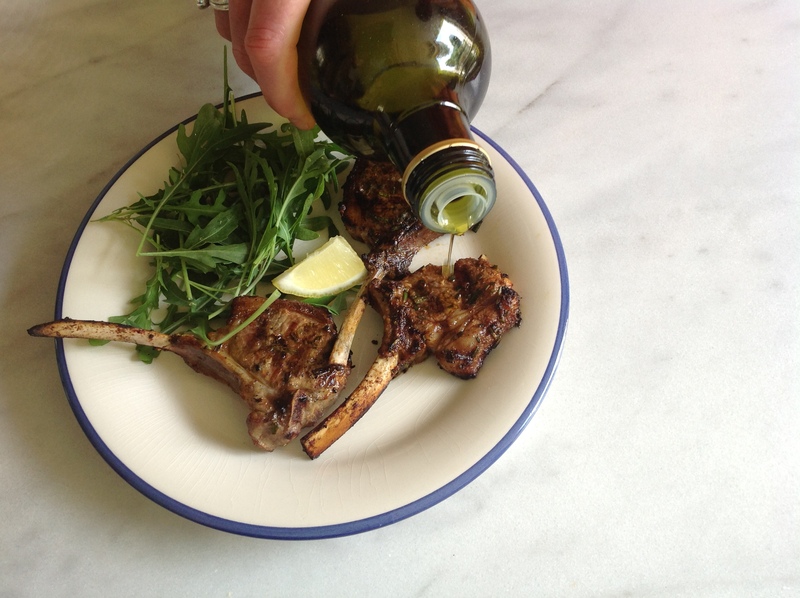 Place the lamb chops in the fridge and marinade for several hours or over night. Before grilling, remove the lamb chops from the marinade and sprinkle with salt. Grill over high heat for about 2 minutes per side for medium rare. Serve with wedges of lemon and enjoy! This entry was posted in Recipe and tagged BBQ, chile pepper, chipotle, lamb chops, pimenton by loschileros. Bookmark the permalink.